The UN has released what it expects to be the final version of the UN climate agreement. Read it here at CFACT.org. Note that we’ve replaced the version of the Paris agreement above with the most current version that includes some technical corrections. No mention of CO2 other than in Finance Item 55 …non-carbon….So they now code word “greenhouse gases” & climate change instead of 17 plus other Global Warming & CO2 evil…yes Kyoto again & again but….” (b) Strengthening institutional arrangements, including those under the Convention that serve this Agreement, to support the synthesis of relevant information and knowledge, and the provision of technical support and guidance to Parties; ” is sneaking input to get to one world government “experts” all on same gravy train buffet…… deep into doo doo near end of blurt…..Article 7 /15 is laughable!!!! The Paris meeting was a meeting of elite secret members of the Illuminati. Main illuminati member, Obama also a muslim and isis supporter, was the lincher. The effect of the preposterous garbage and nonsense and lies everlasting is to be a one world government. How that will be formed will be when the western nations’ finances totally breakdown because of a hatred towards God-given oil and gas. Shut down and forbid the mining of oil and gas, and Obama can destroy all economic activity, of all kinds. There is no such thing as low carbon emission energy- they are all rank failures. So when the US and Britain and NZ go totally bankrupt and unemployment is 50% and people all over are hungry, then the demonically controlled UN will make a demonic announcement. ” Hear ye hear ye, all who will annul their nations sovereignty and submit to the UN and a one world ruler will be exempt from carbon taxes. The UN will then reveal the “beast” or the anti-Christ. He will become the tyrant, the one world ruler, and cause untold misery, harm , lawlessness, and poverty to the world. And the climate will not have been altered one iota, not one tiny degree. This will show on the satellite records. But the sorcerers, who present themselves as “scientists” of the UN will try to hide these true records. Instead they will take their records then deduct a little to them. They then will announce that their “emissions programme” has brought about a lowering of global temperatures and that cyclones are fewer and the sea levels are lowering! Then due to this, they will honour one of their shysters and make him the leader of the whole world. We must all work to rid ourselves of this infection. If we could get a president who will stand with the citizen and expel these leeches it would be a good start. Unlikely to happen, Soros seems to be the President’s pal who mentored, and saw that he was in the right places at the right time, Even when it seems to be have been unlikely. This is why we must track soros for he will be easer to get to when the time is right. The easiest way to rid ourselves of all these politicians is create our own crisis so they all hunker down in their bunkers then weld the doors shut. More misinformation and conspiracy rubbish. Opinion of course, that’s all we have as coincidence and conspiracy are difficult to prove. Ask instead of the likelihood of occurrences. The New World Order has been mooted by most Western leaders for a number of years now, what supports this action? Is it happening elsewhere? Why have economies been shut down so decisively? Who controls Global Money supplies? Why was it taken off a precious metal standard? Why is the import of foreign foods and pests so controlled, but not the Global immigrant invasion? Finally, when was the voter consulted on these matters? After all this flurry and expense we have still have no believable, or unarguable explanation of exactly how carbon is responsible. When a situation requires everyone makes drastic changes, we deserve responsible explanations from unimpeachable sources. All we hear is, it’s likely, of future sea level changes, and failed food crops. Dubious data adjustment is denied whatever is seen on the ground, and computer models are taken as proof. At the same time pressing on as though it was all settled science where the big bogey is proven to be CO2. Flat Earthists also put up a fair arguments supporting their case, and it takes a level of Science to refute them. I bet many of the Warmist’s would fail to win the arguments that the Earth is in fact a Globe, they can only believe that it is, they will not show the errors of argument. An example might be that Civil engineers do not allow for the Earth’s curvature on rail, roads or canals. Why might this be? I use basic math to explain why that carbon isnt the problem. 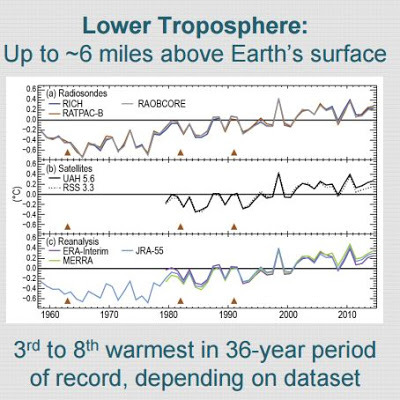 The people who promote global warming use the earths and suns natural cycle and use temperature data of the highest points to verify their claim. Most are taken at the earths equator or near it. the temperatures are disregarded at the polls where at the south poll we are seeing an increce of ice depth. If we look at how many BTU it takes to warm one cubic foot of water one degree in one hour we as humans haven’t or couldn’t generate enough BTU’s in our lifetime to raise the temperature of our water one degree It must be done by the suns power. With the carbon atoms in the atmosphere couldn’t block the sun or help retain the heat on the planet. They fail to admit that if carbon can trap heat it can also reflect it back into space. We see no such equations. Our largest “greenhouse gas is water itself and with our weather system that is not static as they want it to be it is the factor that retains our heat. They also claim that we produce methane that also contributes but mankind’s production doesn’t come close to the common termite. A normal forest gives off more methane from its decaying material than mankind uses. Lastly the methane that percolates from the ocean floor also has mankind left far behind. My arguments are far from eloquent but I can usually make people see that while mankind does pollute and it is our responsibility to clean it up that we don’t need a united nations to install one more tax burden on the nation that feeds a third of the world. I hope I haven’t been too boring and If I have anything wrong please point me to the data that will correct for one cant make a valid argument with faulty data. The more informative warmers can tell you that re-emmitted heat in the infrared band interacts with CO2 molecules which absorb and re-emit heat, thus slowing down the Earths heat loss to space. Its hard to believe that such a low % has this catastrophic effect, and harder still to accept its the man made bit causing the positive feed back responsible all the warming in the last few years. You remember, the one that was never was. carbon is primarily recycled by all plants on the surface and in the oceans. Carbon that is emitted from the chemical reaction is rarely in its pure form and is heaver than air and in semi solid form. In the US we had forest fires that were so bad they created their own weather storm. Burn a log and it creates much more carbon than an engine that now runs more efficient and we now remove more pollutants than ever. We can point to oil prices lower than in many years because we are using less than several decades ago and have more cars and trucks on the road. As hard as they try their figurers never add up and they grow more desperate in their efforts to convince us all that the only way to save the world is tax us into oblivion before the weather cools off and they wont be able to claim that their efforts worked. 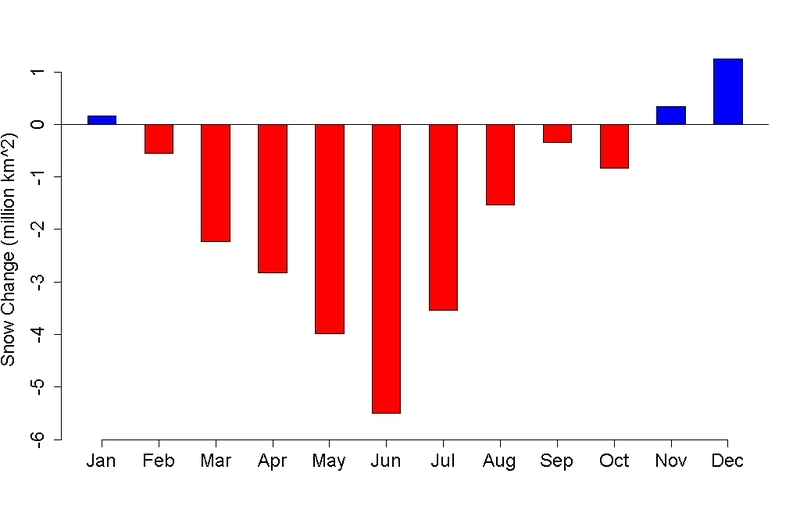 If we can stall them only another year and see the cooling start we can tell them all to go to hell. If you are unable to explain how you see it works, you have nothing to add Ian. Personally I find our planet cool and would welcome a bit more warmth, explain and convince us that there is a real problem or shut up dripping on about it. Without explanation only a fool wishes to believe in catastrophe stories. And then there are just ignorant comments. Exactly, we agree. You comment with no argument only clap trap. Great that you appreciate English theoretical physicist and cosmologist Stephen Hawking’s advice. Now go do a little research and find out what his views and advice are on climate change. Then come back and tell us what you’ve learned. No excuses. You may read lots, and think you know and understand, but unless you can explain it yourself you don’t. Try teaching the inquisitive, they ask questions that will test you. I feel you are fearful of not being able to deal with detail questions, a superficial understanding only. There are a few well qualified here who might even convince you otherwise. Pointing folks to sites with the warmist seal of approval is a very weak argument by those who don’t understand. Did you actually look up Stephen Hawking’s views? Consider any of his advice? Tell us what he said and why you agree or disagree. Just checking in… any luck finding out about brilliant English theoretical physicist Stephen Hawking’s views on the matter? Where does he stand? Only one voice of course but I see a pattern. Sorry, but you won’t get any ‘education’ on that webpage. It purports to be “Facts”, but is really pure alarmist propaganda. NASA was formerly respected before its goal became improving Muslim relations. Now it is a politically-driven sham. There is NO empirical evidence there that natural climate variability was not the primary cause of the most recent climate warming in the late 20th century, or that anthropogenic CO2 was the primary cause of the most recent climate warming in the late 20th century. So the null climate hypothesis that the primary cause of climate change is still natural climate variability stands. Sea level – propaganda based on using two different measurement methods, tide gauges in the early part of the 20th century, the “adjusted” satellite numbers. 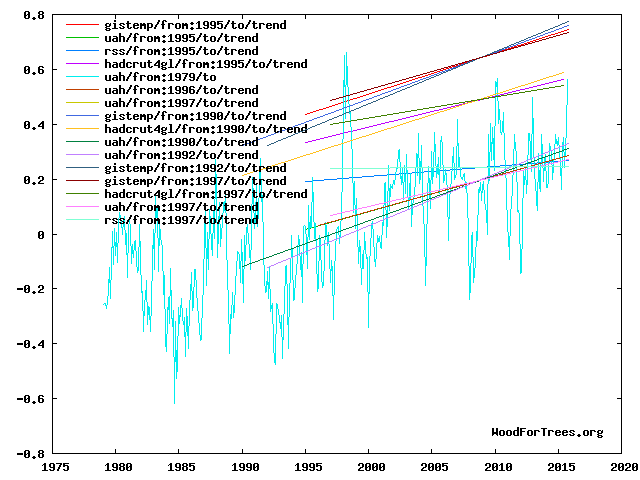 The un-adjusted satellite data shows no change in sea level rise. The only common measurement method, tide gauges, shows lower rise rate in the late 20th century than the early 20th century. 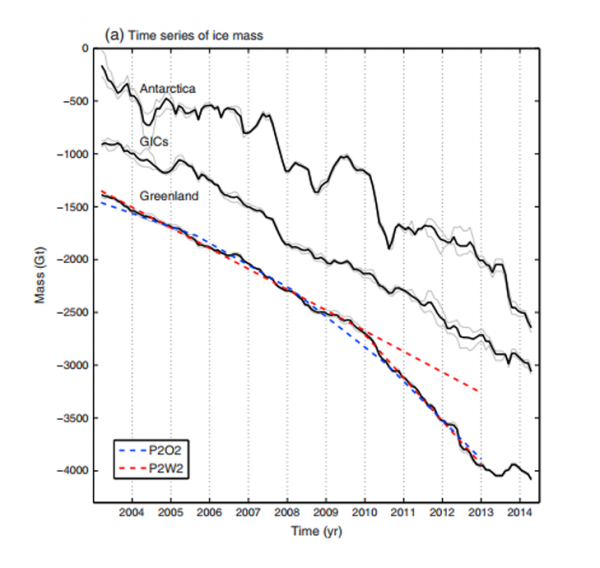 Shrinking ice sheets – False propaganda. 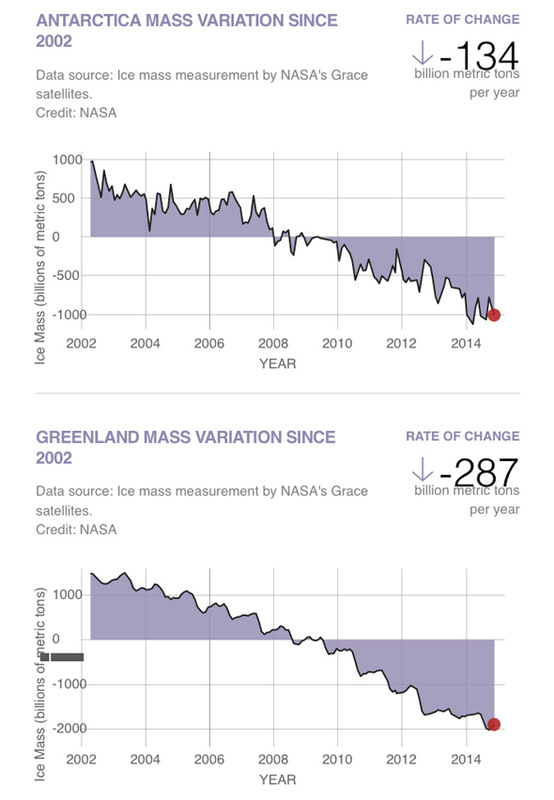 The Greenland and Antarctic Ice sheets have been increasing in mass. 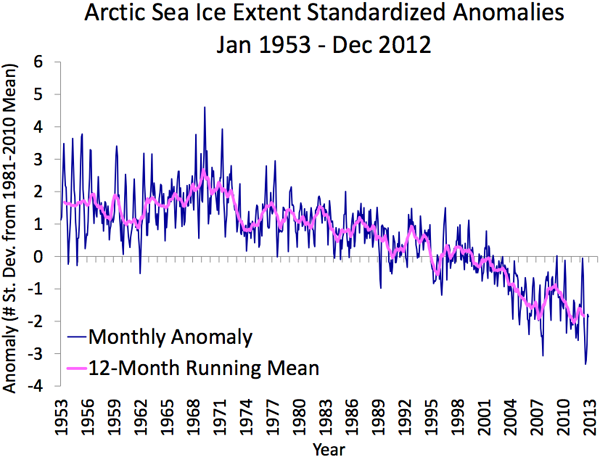 Site also ignores record levels of Antarctic sea ice gains, http://arctic.atmos.uiuc.edu/cryosphere/IMAGES/seaice.anomaly.antarctic.png , which offsets Arctic sea ice losses. 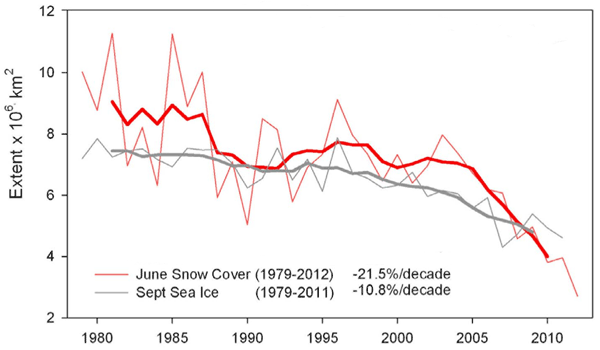 Global sea ice in 2013 & 2014 was right back where it was in the mid-1980s: http://arctic.atmos.uiuc.edu/cryosphere/IMAGES/global.daily.ice.area.withtrend.jpg No “death spiral” there like the climate alarmists claim. 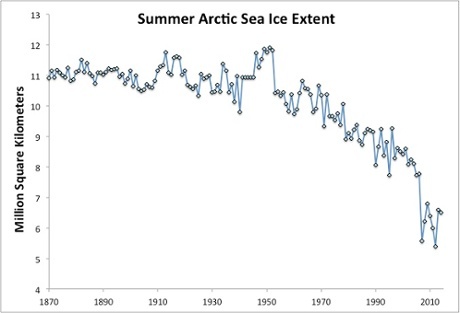 Plus recent Arctic ice changes are just natural variations as experienced in the early 1900s: “The huge warming in the Arctic which started in the 1920s and lasted for almost two decades is one of the most spectacular climate events of the 20th century.” – Bengtsson(2004), ‘The Early 20th century warming in the Arctic – A Possible Mechanism’ This was written after the 1979-2004 Arctic ice changes. Your source FAILS the test of empirical science. You can’t cite a single peer reviewed paper that empirically shows that natural climate variability was not the primary cause of the late 20th century warming. You can’t cite a single peer reviewed paper that empirically shows that anthropogenic CO2 was the primary cause of the late 20th century warming. Until you do, the null climate hypothesis of natural climate change stands. That’s how science works. Fossil fuel disinformation lobbying firm. Aren’t you….special? Heartland-produced rubbish designed to intentionally mislead and misinform. Tobacco shill. Now climate shill. Ian, you made this same false claim 18 days ago and I debunked it and challenged you to point out a single bit of “misinformation”, a single “myth” or a single “talking point” that had been refuted. You FAILED to point out a single one. You have just provided evidence that you are an insane reality-denying climate cult zealot repeating your already-debunked lies and misrepresentations expecting a different result. You are just angry because your cherished CatastrophicAGW-by-CO2 doomsday climate cult religion is crashing and burning because in the ~19 years humans have added the most CO2 to the atmosphere than any 19 year period in history and it has caused NO increase in global mean atmospheric temperature as your climate cult alarmists predicted. Face reality. The empirical DATA shows that CO2 is an insignificant factor in causing climate warming. Quit being a denier of reality. insane reality-denying climate cult zealot lies and misrepresentations angry cherished CatastrophicAGW-by-CO2 doomsday climate cult religion iclimate cult alarmists Face reality. denier of reality. focuses on a limited number of “skeptic” studies. To suggest that it represents a comprehensive synthesis of the body of climate science is disingenuous. More handwaving clown dancing there Ian. You are using the ad hom logical fallacy, and TOTALLY ignoring the CONTENT of the NIPCC report. You have TOTALLY failed to rebut a bit of the peer reviewed empirical science presented in the NIPCC report. So you agree with a scientifically illiterate troll who plays silly games and FAILS to post empirical science. Not surprising. Perfect projection there, as that is what the IPCC reports do, as the sources AR4 report was 30+% gray literature, NOT 100% peer reviewed as the IPCC chairman dishonestly claimed. 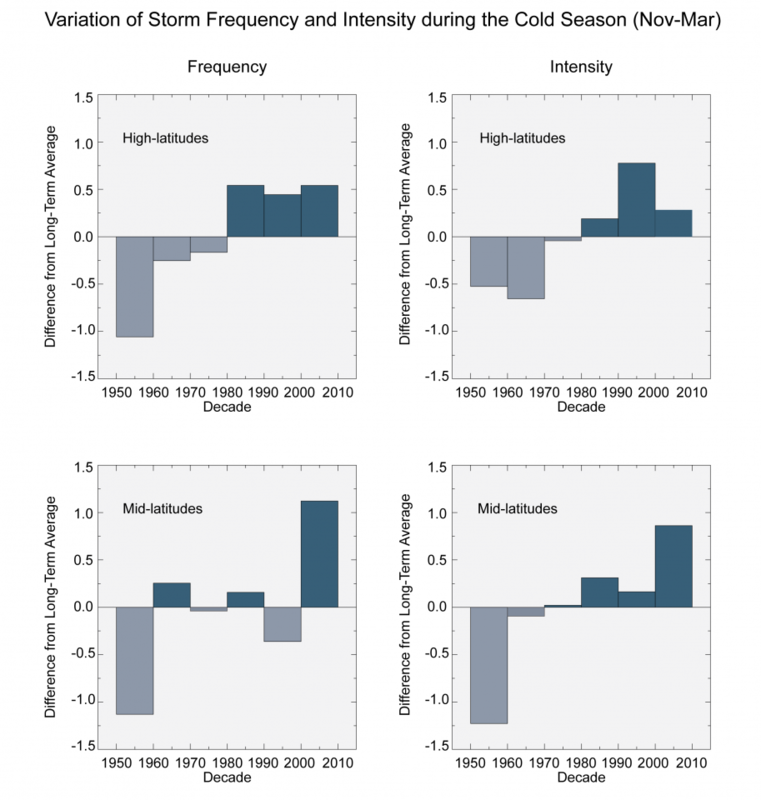 The NIPCC report presents both natural and anthropogenic climate change. Once again you merely parrot the propaganda and dogmas of your CAGW-by-CO2 doomsday climate cult religion, NOT empirical science. So sad that you have been duped and have gullibly and ignorantly swallowed that propaganda. Still more name calling…“doomsday climate cult religion, parroting propaganda…“ All consistent or course with the scientific conclusions of NASA and NOAA, the physical science programs of virtually every North American university, US and international scientific academy. All you got is denialist, ideological bombast from the Heartland Institute and its affiliates. Nope, just not credibile. ROTFLOL @ your desperate flailing and demonstration that you don’t understand how science is done! Hilariously stupid! ROTFLOL @ your name calling and debunked false propaganda memes. Your ridiculous notions… all completely inconsistent with the scientific conclusions of NASA and NOAA, and virtually every North American university, US and international scientific academy. You are pretty much alone and irrelevant…you, Heartland and its misinformation partners. ROTFLOL @ your continued display of ignorance of how science is done! Stupendous ignorance there thinking science is done by consensus! Hahaha. You’re such a joke. No, my understanding of climate which are based on empirical DATA, not flawed, faulty, falsified, failed climate models is not a ridiculous notion. There are tens of thousands of real scientists who have the same understanding of climate that I do, “There is no convincing scientific evidence that human release of carbon dioxide, methane or any other greenhouse gasses is causing or will, in the foreseeable future, cause catastrophic heating of the Earth’s atmosphere and disruption of the Earth’s climate. Moreover, there is substantial scientific evidence that increases in atmospheric carbon dioxide produce many beneficial effects upon the natural plant and animal environments of the Earth.” – ( petitionproject. org/ ) 31,000 there holding the climate realist position, that in the 19 years since it was signed has been shown to be 100% accurate, while you and your IPCC buddies failed predictions of doom have been 100% wrong, as the global mean temperature of the Earth’s atmosphere has NOT increased in the 19 years since that petition was signed. You and you fellow CAGW-by-CO2 doomsday climate cult zealots are the ones who are becoming irrelevant, as the general public is recognizing you for the Chicken Little alarmists that you are, and are laughing at you now, because you are such big JOKES! Readers: prepare for more dodging, displaying ignorance of how science is done, making baseless evidence-free claims. Everything except rebutting the science that I have presented to this duped climate cult zealot here: ( cfact. org/2015/12/12/read-the-un-paris-climate-agreement-text-here/#comment-2414184254 ) or in the NIPCC report. He can’t address that empirical science, so expect his usual clown dance of obfuscation and denial. Aren’t these duped climate cult zealots pathetic. The report has no credibility and is intentionally designed to mislead. LOL! Still denying reality of the FACTUAL, ACCURATE NIPCC report by meaningless dishonest ad hom attacks. So sad, but so typical of scientifically illiterate duped doomsday climate cult zealots who can’t rebut the science. You previously claimed that the NIPCC report didnt’ contain any science. Why do you continue to peddle your dishonest lies and climate cult propaganda when it has already been refuted and you could NOT defend it? Bitter clinger to non-published, fossil fuel-funded disinformation. Isn’t it special? Nope, it’s not an ad hom attack. It stating a fact. Do you deny that Mr Bast and his Heartland Institute have worked with tobacco giant Philip Morris to lobby against smoking bans and deny the health risks associated with second hand smoke? Why would you place any credibility in their pseudo-science NIPCC report? Wrong, it attacks the source of the report and totally ignores the science in the report. And you double down on your meaningless ad hom attack by stupidly and ignorantly swallowing the irrelevant Oreskes ‘tobacco’ argument. Once again you TOTALLY FAIL to rebut any of the SCIENCE in the report. And your claim that there is “no science” in the report was totally debunked here: http://www.cfact.org/2015/11/20/senators-to-president-and-un-no-climate-cash-for-you/#comment-2383262002 You are silent on this because you know that you are lying. And your claim that it was “intentionally designed to spread misinformation. Endless repetition of myths and talking points that have been refuted many times.” was totally debunked here: http://www.cfact.org/2015/11/23/greens-smuggle-climate-policy-into-the-church-to-tip-climate-politics/#comment-2381159918 You have FAILED to document a single example of a “myth” or a “talking point” or any “misinformation” that has been “refuted”. Once again you totally FAIL to post any empirical science, and totally FAIL to rebut any of the empirical science that I have posted or that is in the factual, non-biased NIPCC report which is based on empirical science, NOT on the flawed, faulty, falsified, failed climate models like the IPCC reports are. You merely repeat your climate cult’s propaganda, talking points and false dogmas. So sad. Nope, it would be naive to not consider the source of the Heartland sponsored report and the process (or lack of it) that was used to generate and review it. The stated mission of that organization has nothing to do with presenting a balanced, comprehensive synthesis of climate science. More denial of reality! So sad. You make false baseless evidence-free CLAIMS about the NIPCC report, but when challenged you have FAILED to back up your false claims and point out a single mistake, misrepresentation, myth, debunked talking point that you claim. You have proved yourself as NOT credible. You are merely blathering CAGW-by-CO2 climate cult talking points. So sad. So ignorant. But so typical of you climate cult zealots. RealIncompence too buried in Dunning-Kruger Effect to see it is embarrassing itself. LOL! Sorry that you are still peddling your logical fallacies, but tobacco has nothing to do with climate change. But when you can’t rebut the peer reviewed empirical science that I present, all you’re left to do is peddle meaningless logical fallacies. So sad. On the contrary, tobacco — namely Heartland`s misinformation campaigns about its health effects — has everything to do with the credibility of the nipcc report. LOL! Still peddling your false logical fallacies. So sad. So ignorant. Sorry, but not a single one of those hundreds and hundreds of peer reviewed papers cited in the NIPCC report, http://www.nipccreport.org/reports/ccr2a/ccr2physicalscience.html , had anything whatsoever to do with secondhand smoke! Such hilarious handwaving clown dance of obfuscation from the FACT that you can’t rebut any of the empirical science that shows that climate change is STILL natural, just as it has been throughout the entire history of the planet. Such comedy. You are doing all the hand waving…CAPS, name-calling, more bombast. To suggest that the nipcc report presents a balanced, comprehensive synthesis of the science is a ridiculous notion. If you truly feel sad, why not do something about it instead of whining. You have never addressed the credibility of the sponsor organization and its motives. Perhaps you work for them or one of their affiliates. Nope, just not credible. points that have been refuted many times.” When I exposed your lies about it 3 weeks ago here, ( http://www.cfact.org/2015/11/23/greens-smuggle-climate-policy-into-the-church-to-tip-climate-politics/#comment-2381159918 ) , and challenged you to point out just one bit of “misinformation”, just one “myth”, just one “talking point that has been debunked” you have FAILED to point out a single one! LOL. More clown dancing! Hilarious! Ever since you have been unable to point out a single thing wrong with the NIPCC report, you have been madder than a wet hornet and all you’ve done is dodge addressing the report itself and drone on with your logical fallacy of ad hom attack, pretending its about the sponsor, when in fact it is about the hundreds and hundreds of peer reviewed science papers in the report that show that climate change has not been nor will be catastrophic as your alarmist climate cult claims. Yes indeed, you’ve put on quite the hilarious comedy clown show. And at the same time put on quite the tragedy of denial of reality and incompetence of knowing how science is done. Purposely dishonest assertion: You can’t cite a single peer reviewed paper that empirically shows that natural climate variability was not the primary cause of the late 20th century warming. Purposely dishonest assertion: You can’t cite a single peer reviewed paper that empirically shows that anthropogenic CO2 was the primary cause of the late 20th century warming. 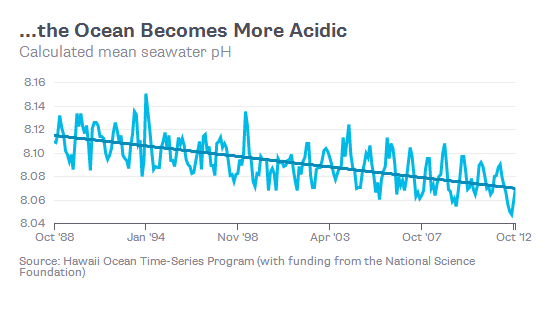 Likely duped into an embarrassing assertion: The actual data (sic) shows that ocean has not become more acidic. 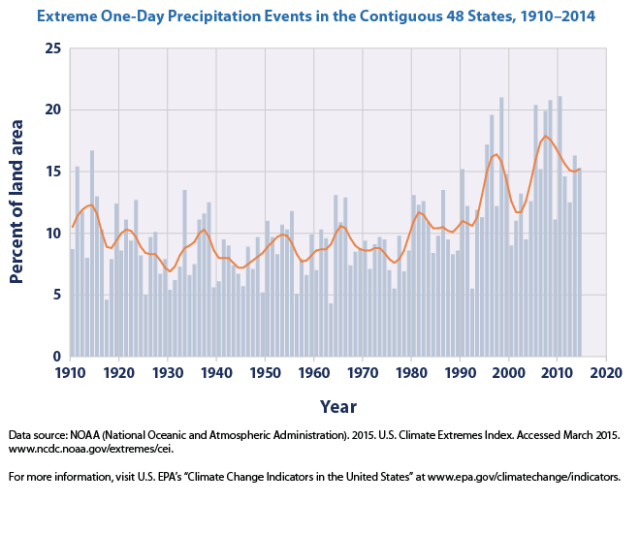 Dishonest on purpose: Extreme weather has increased. 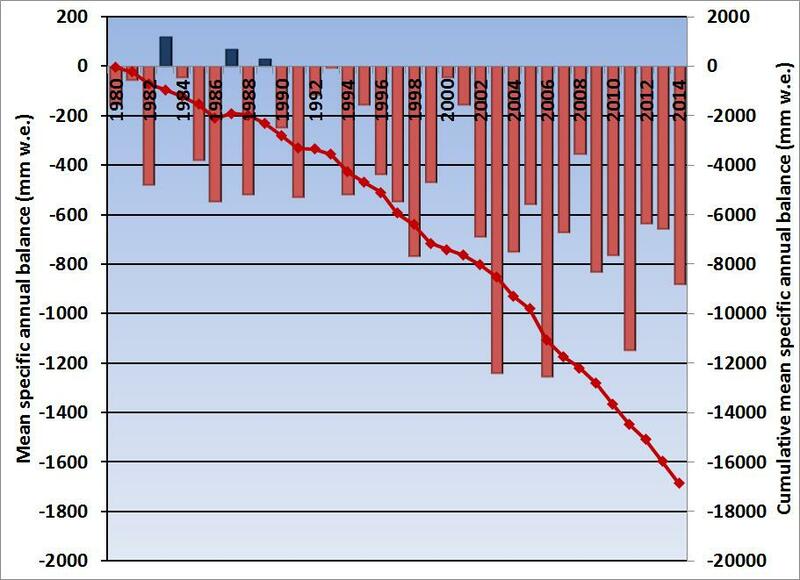 Dishonest on purpose: Arctic ice decline. Likely gullible and duped: The Greenland and Antarctic Ice sheets have been increasing in mass. Probably incapable of understanding how duped. Surface Mass Balance in Greenland is not total mass balance. 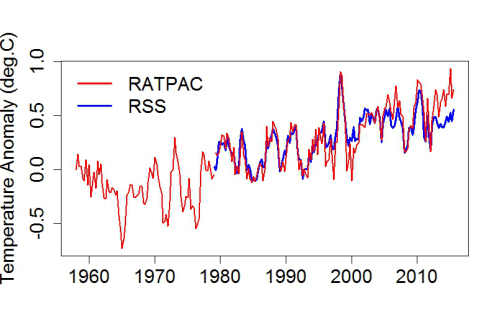 Duped into thinking data in latest Antarctic paper is thru current. 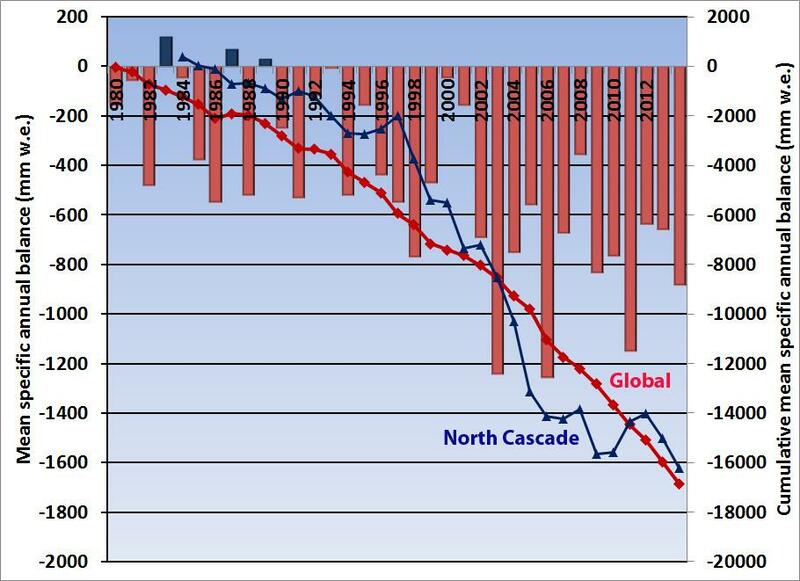 Comically embarrassing: Most of the ice loss was prior to the mid-1900s when the IPCC claims anthropogenic influences became dominant. The scientifically illiterate troll Dano2 has shown up to spread his lies and misrepresentations, out of . He has demonstrated that he doesn’t have the intelligence of a 12 year old, ad rebuts nothing of what you post. He just repeats the propaganda that he learned in CAGW-by-CO2 doomsday climate cult catechism classes. It’s pointless to refute his lies, as he just denies reality. Typical of delusional duped scientifically illiterate climate cult members. Stop ululating and whining and name-calling cuz having a sads, and grasp the fact you are being soundly refuted. 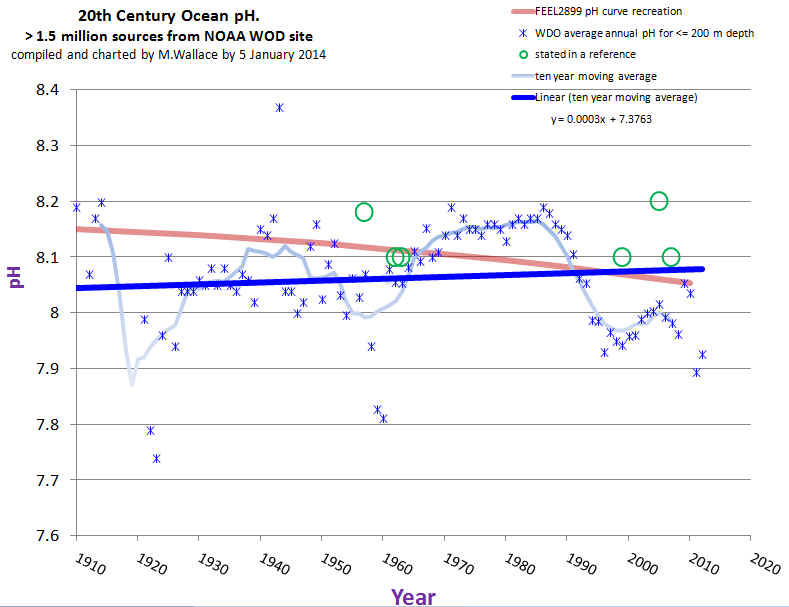 Likely incapable of comprehending how duped: The actual data shows that ocean has not become more acidic. Aside from the fact this gullible uses a non-published paper (that will never get published), this chart erroneously doesn’t segregate data by location – a fatal error. Yet the graphics are clearly referring to surface mass not the total mass budget. The article even clearly states that “..the calving loss is greater than the gain from surface mass balance, and Greenland is losing mass at about 200 Gt/yr”. Why do you continue to intentionally misleading readers? It hopes its ululating, aggressive bombast keeps you from refuting it so its disinformation goes unchallenged. No, 100% accurate information showing that the NASA information was merely the biased, propaganda from the groupthink climate cult alarmists. Your 200 Gt/yr figure is a cherry-picked one-year 2005 number based on uncertain GRACE data. 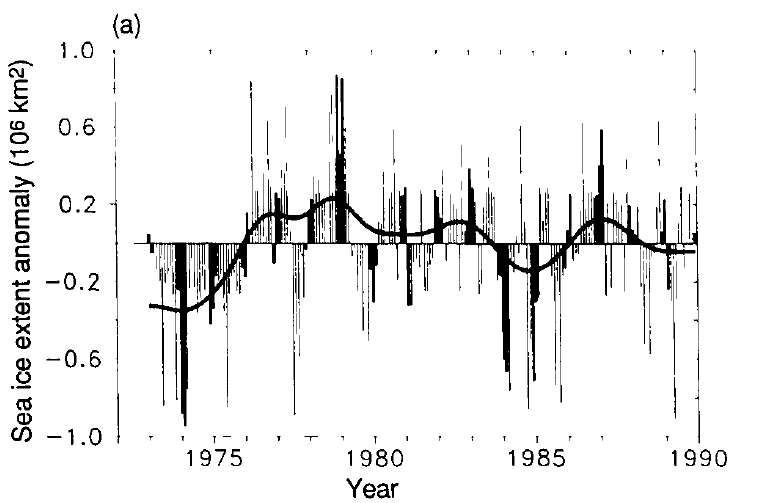 The longest term data covering 1992-2003 shows a positive ice gain of 5mm/yr in total Greenland area (+ 20-90Gt/yr). Zwally(2006) showed a positive gain of +11Gt/yr over a similar long term period. And there is no way mass losses from glacier calving offset that total mass gain over the entire continent of Greenland. Why do you continue to misrepresent the accurate science that I post? Why do you continue to peddle your CatastrophicAGW-by-CO2 doomsday climate cult false dogmas which are based on cherry-picked dodgy data? Comical inability to cite properly making me laugh again notwithstanding, the other thing that makes me enjoy this entertainment spectacle – more than the inability to cite – is how easily it is duped. How can I tell it is easily duped? I can tell it is easily duped because it failed to tell us what the consensus of total mass balance is over more recent time. It’s not so craven or dishonest to purposely leave that out, right? So duped? article by Peter Langen of the Danish Climate Center to support you erroneous claim that the Greenland ice sheet has been increasing in mass. That is not what the article says. Either you don’t understand the article or you are intentionally trying to misinform and confuse readers. Read Langen’s Sept 2015 blog post for a plain language version. 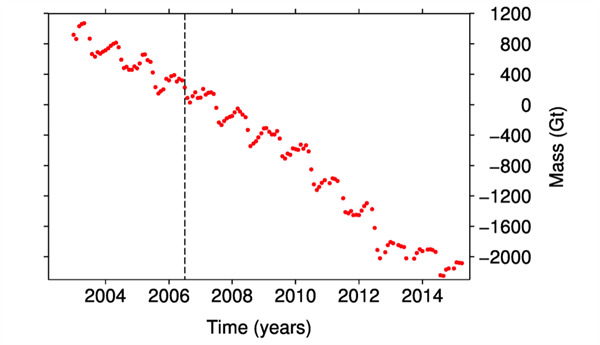 The overall trend in the total ice mass balance on Greenland shows a continued year-on-year decline. 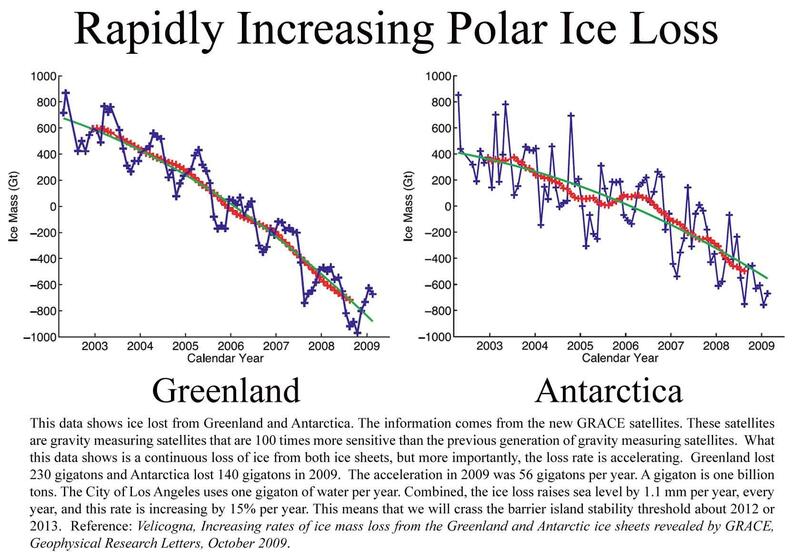 Yes, it IS cherry picking because you used a source that picked a SINGLE year of Greenland ice mass data, rather than using the longest periods of 11 years, two separate peer reviewed studies show that ice mass has INCREASED over that 11 year period, as the plot that I posted shows. Why do you tell such blatant LIES which are so easy to debunk? Oh I know, you are a scientifically illiterate doomsday climate cult fanatic defending his cherished religion with jihadist zeal. So sad that you are ignorantly and gullibly swallowed the climate cult propaganda. 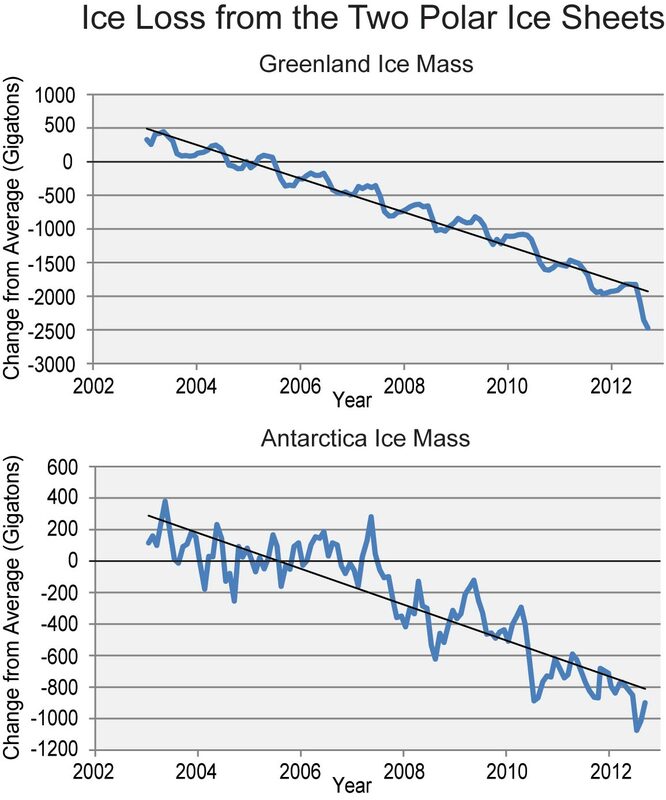 ice sheet has been increasing in mass. and proceed with your usual bombast. Not credible. No, you are denying reality. Look at the chart. The longest term records support the claim that Greenland ice mass has been growing. Yes, and the graph ( http://www.dmi.dk/uploads/tx_dmidatastore/webservice/b/m/s/d/e/accumulatedsmb.png ) in my link showed that the 2015-2016 ice mass IS growing faster than the “Mean (1990-2013)”, so my claim “Greenland is gaining ice faster than the 1990-2013 average” was 100% accurate. I was NOT “exposed”. My statement was 100% correct. YOU used a cherry picked 200Gt/yr claim that was based on a one-year (2004) period in attempt to rebut my claim, but there is no way that a cherry picked 2004 number could rebut my claim about the current 2015-2016 rate of ice mass gain. YOU were exposed as lamely defending your climate cult propaganda. So sad. Yep, I bombased you with 100% accurate FACTS and empirical DATA which showed that I was correct and that you were wrong. No, you are NOT credible. 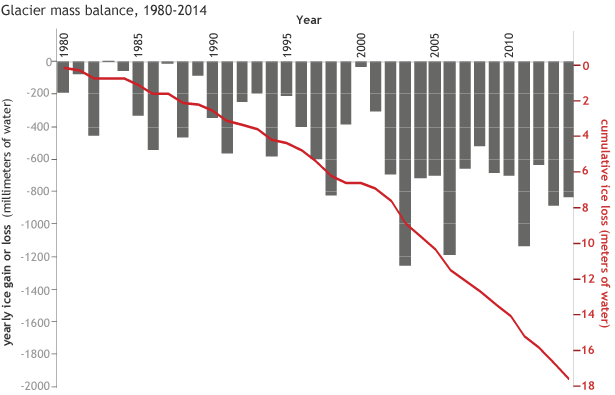 The conclusion of the author–Peter Langen of the Danish Climate Cente–is that the overall trend in the total ice mass balance on Greenland shows a continued year-on-year decline. That doesn`t fit with your ideology but that`s his scientific conclusion not mine. 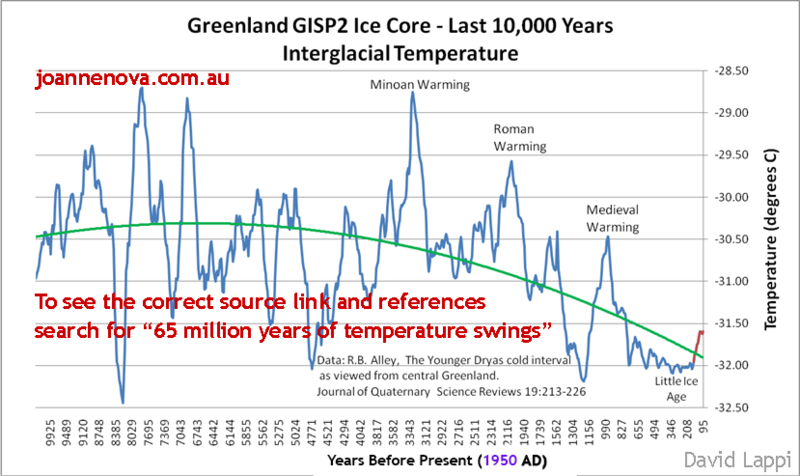 Greenland has been cooling for a long, long time, http://www.changecollege.org.uk/img/GISP_2.jpg , and there is NO peer reviewed science that shows that anthropogenic CO2 has been the cause of the late 20th century warming. It is natural climate variability, just like has happened throughout the entire history of the Earth. It’s so sad that you have gullibly and ignorantly swallowed the groupthink CatastrophicAGW-by-CO2 doomsday climate cult religion. there is NO peer reviewed science that shows that anthropogenic CO2 has been the cause of the late 20th century warming. Utterly and completely wrong. Again. This has been pointed out to you so many times you are either incredibly dense or purposely dishonest. All that you showed is that you were caught out. You carelessly cited Langen’s article in an attempt to substantiate your ridiculous claims, then quickly dismissed his conclusions once you were exposed. You can’t stand the scientific conclusions because they don’t fit with your ideology. Either you can’t read or are intentionally trying to spread misinformation. That’s a blatant lie. Why are you so serially dishonest when it is so easy show that you are lying through your teeth? I showed that Langen cherry picked a single low ice year, while two different papers covering the longest record of 11 years showed that ice mass increased. You are just in denial of reality because of your ideological blindness in following your CatastrophicAGW–by-CO2 doomsday climate cult religion. You evidently can’t read or you are intentionally lying in order to avoid admitting that you are wrong. So sad. But so typical of the dishonesty of delusional, duped doomsday cult fanatics, desperately trying to defend their cult religions with jihadist zeal. So pathetic. Caught out, back pedaling, name calling and ululating. Not credible. You are the one who was caught out doing those things in dishonestly telling lies about the NIPCC report. 2) You falsely claimed that it was “Intentionally designed to spread misinformation”. I caught you out on that lie and challenged you to cite a single example of misinformation, and you were unable to cite a single one. 3) You falsely claimed that it was an “Endless repetition of myths“. I caught you out on that lie and challenged you to cite a single myth, and you were unable to cite a single one. 4) You falsely claimed that it was “talking points that have been refuted many times”. I caught you out on that lie, and you were unable to cite a single “talking point” that was refuted many times. Yes indeed, you are just not credible. The nipcc report does not represent a comprehensive synthesis of the science of climate change. Read the introduction and preface – it even admits to that. The sponsor organization is a group of lobbyists and propagandists whose goal is to promote an ideology and spread misinformation; it is not a credible source and you`ve “credibly showed“ us nothing. You once again expose that you are an angry climate cult zealot who is NOT credible! A blatant falsehood as seen by the three images from the summary webpage and the Forward of the NIPCC report shown below. The NIPCC report, http://www.nipccreport.org/reports/ccr2a/ccr2physicalscience.html , does represent a comprehensive synthesis of the science of climate change because it evaluates the empirical evidence for natural causes of climate change, whereas the IPCC reports do not because the IPCC assumes that the primary cause of climate change is anthropogenic, in spite of the fact that there is not a single peer reviewed paper cited in any of the IPCC reports which empirically shows that to be true. Aggressively and bombastically defending fossil fuel-funded fake science! Entertain us some more, hapless disinformer! You make us LOLz! The word ‘comprehensive’ appears in a report. A report produced by a dishonest ideological thinktank that compares climate change scientists to the unibomber and purposefully misinforms on behalf of big tobacco. Nope, not credible. Sorry but you have TOTALLY failed to support your dishonest claims about the NIPCC report. Do you enjoy advertising your dishonesty? You’ve refuted no one and provided no evidence. 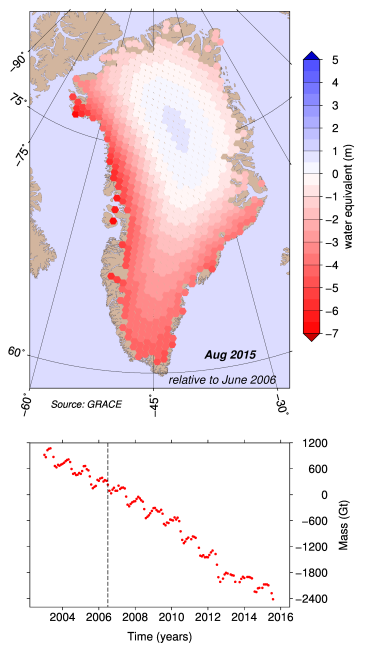 Why are there no current Mass Balance Estimates for Greenland cited in the nipcc report? Because the purpose of the report, the ideological sponsor and its promoters is to misinform and confuse. Your denial of reality is SOOOOO pathetic. You are the one who is not credible, because I caught you out lying about the NIPCC report. You were unable to rebut a single bit of that peer reviewed empirical science, showing that you were not credible. 6) I credibly stated the fact that there isn’t a single peer reviewed paper in existence that empirically shows that anthropogenic CO2 was the primary cause of the late 20th century warming. You were unable to cite a single one, showing that you were not credible. More name calling and the reflexive copy/pasting of rubbish. If it is so comprehensive, why does the nipcc report completely omit the current Mass Balance Estimates for Greenland for example? Why does virtually every US and international scientific and research academy support the scientific premise of AGW? No one takes the nipcc seriously. The report isn’t even in my 2 local university libraries. Why? Because it is not a credible synthesis. Who cares what the nipcc thinks?…uhhh, almost no one except you and a small handful of persistent misinformers. You are a pathetic liar. It’s proven by these quotes from you that are totally dishonest. Yup, there it is, more name-calling. The preferred tool of propagandists. Yup, there is is, more denial of reality. The preferred tool of dishonest CAGW-by-CO2 climate cult fanatics. You are simply not credible because you tell such blatant lies which you cannot support with evidence. I made an eagle sockpuppet with that projection. Dishonest on purpose. Why dishonest on purpose? What’s wrong with you? Name calling is a well-known technique used to promote propaganda. Propagandists use this technique to incite fear or arouse positive prejudices with the intent that the invoked fear will encourage the recipients of the propaganda to formulate a negative opinion about a person, group, or set of beliefs or ideas. It is also often a attempt to assert personal power over a situation when the perpetrator is feeling weak or has low self esteem. Repeated name calling can also symptomatic of mental health issues in the perpetrator. Yes, which is why you climate cult members call us climate realists who base their understanding on empirical science “deniers”. Yes, which is why you do it because you feel weak because you can’t rebut any of the empirical science which shows that your CatastrophicAGW-by-CO2 climate cult religion is false, which gives you low self esteem since you were so gullible and ignorant to swallow the scam/hoax/lie/fraud. So once again you were projecting your flaws, faults and dishonest techniques onto me. So sad. Playing the victim, all the while engaging in more name calling. Atrocious. Thanks for reproducing my comment and then promptly demonstrating my point. You forgot the last sentence. Yes, you and your fellow climate cult zealots are atrocious, as your dishonesty has been exposed numerous times. You have been exposed as a dishonest peddler of your global warming cult religion who is simply NOT credible! Now you are claiming that Dr. Peter Langen is cherry picking? According to you, an angry, anonymous ideologue? No you are just not credible. The dishonest climate cult troll lying again. So sad. Again, you simple lie and spin falsehoods because it doesn’t fit with your ideology. No matter how many times you repeat your lies, it will never change the fact that what I posted was accurate. Why do you tell such blatant falsehoods which are so easy to expose? You are such a dishonest denier of reality. So sad. Fossil-fool funded NIPCC non biased everbuddy! That’s good comedy! I LOLzed! Your references are outdated. For example, you cite Zwally et al (2006) yet their published Mass Balance Estimates have been supersceded by Zwally et al (2011). Comedy skit of Dunning-Kruger Effect sufferer gets better with faked NIPCC graph that duped our poor, hapless OldOne! And comedian still makes us laugh with comical inability to cite properly! You’ve provided Bengtsson’s 2004 paper and 1974 intelligence paper. That’s your irrefutable evidence? Both have been superceded by more current research. I sent you a more recent list of published Mass Balance Estimates. Did you read it? Still waiting for your response. You referenced Bengston (2004) and a 1974 paper. I sent you a list of recent peer-reviewed and published Mass Balance Estimates. None – not a single one of them – is referenced in the Heartland’s “comprehensive” and “objective” nipcc report. Why is that? LOL! Still in denial that everything that I posted was 100% accurate! Predictably you can’t face the reality that what I posted about Greenland was 100% accurate. So sad. 100% misleading more like it. 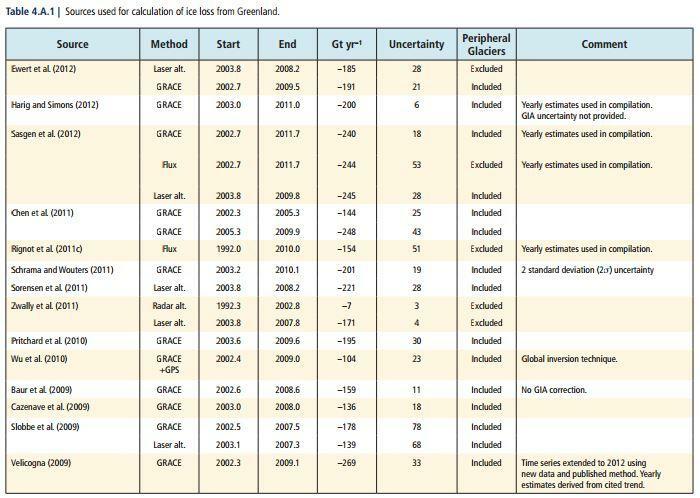 And leaning on 2 dated references and ignoring 14 current Mass Balance Estimates for Greenland. Truly unbelievable. Nope, i’ve responded to both of those comments. All you seem to be able to do now is copy/paste endlessly and name-call. You’re not believable. Why do you tell such blatant lies that are so easy to expose? Still not smart enough to grasp Surface Mass Balance not total mass balance. And suffering from ideological blindness and Dunning-Kruger Effect. A combination destined to buffoon. All the clowns cite that article because the disinformation sites know their faithful don’t read links. Clownical. Surface Mass Balance is not total mass balance, which you’d understand if you’d read the article. Too incompetent and ideological to understand what it reads, aye. Oh really? So NASA climate science program is alarmist propaganda generated to improve Muslim relations. That its findings come to the same conclusions of virtually every other US and international scientific academy and research institute quickly illustrates that your view is outrageous if not extremist. you are simply not credible. into swallowing the climate cult propaganda. has never been empirically validated. climate cult religion is simple not credible based on empirical science. are such a pathetic denier of reality. You have no NewPhysics to explain the observed changes, Yesterday Man! I have that website and you realize they have been caught modifying data and the satellite in the polar orbit has mysteriously broken up. This is the one that provided much of the data. you may want to check an article by : L.J. Devon, Staff Writer at naturalnews.com. again never take what is handed you as fact but look at it and prove everything yourself. The natural news has info and leads that dont normally show up. Information is like any tool unless well honed the results of your job tends to be rough and incomplete. I agree but how does one recognize illusion if they don’t first have the basics that are proven truth this is why I rely so much on math for when I am wrong others who can recognize it and tell me. Only the stupid fails to recognize truth and fails to prove what is told them is indeed true. As a pitifully ignorant man on science I must rely on the input of others but never accept any data on its own merit. I will keep that advice from Mr. Hawking for it is good advice. If you truly appreciate English theoretical physicist and cosmologist Stephen Hawking’s advice, then I encourage you look up what he has to say about climate change and the imperative for action. This man is undeniable genius in physics. Unfortunately genius its limits. This has been the problem for just because you are in science does not say you are knowledgeable in every area Our conscientious among 97% of scientists declare we have global warming. Science cannot be secured by a democratic vote. The actual danger comes from the imperative action. 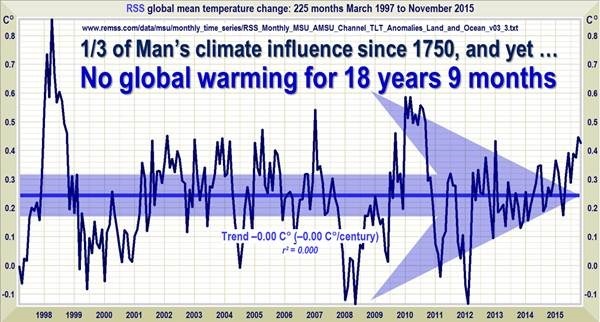 Ask yourself what man can go to stop the warming trend that hasn’t happened in the last 15 years? When we have questionable data that could be verified by the weather satellite that just blew up I find it strange and I begin to doubt any data until i am offered proof. I am old enough to remember the claim that we were heading into an Ice age. Governments answers for problems cost America a lot in taxes and tons of regulations that also cost American business in profits. As an owner of two businesses I see what savings are offered to Americans from both photo voltaic and the air driven generators. As an electrical contractor i follow closely the problems for we see even Soros investing heavily in coal because we will need to go back one step before we go forward. Compare the footprint,(area used) to generate one kilowatt. Nucular power can generate more power per acre than any we have. wouldn’t it make good sense to develop a safe generation environment and the ability to disposal of storage research or just say we give up it cant be done so we wont build the generating capacity to serve our nation without the carbon output. Wind isnt supposed to have carbon output but at the moment the lifespan they say is forty years but the units in the Irish sea are not proving this out. Even Germany are having the same problems and have gone so far to relocate entire towns to reopen coal production. The problems are expanding with blade failure and gearbox overheating. Looking at the production of the photo voltic element we are using many very toxic elements that will also end up in the landfills. At the moment the most efficent unit is 23% and it takes a large area to generate the power we need. The repair costs are also high. So again I ask what government may do will they pas laws or new taxes all that will raise costs but will solve no problems. At the moment wind and some developments offer the most viable solutions but many new developments have been forced aside by the large firms developments that insure their products are the only ones that reach market. This is a complicated problem and to remove coal at the rate government wants will cause Immense damage to America. I have talked to many politicians and it scares me to have these people writing laws and regulations with as little knowledge as they have. Should we ignore the problems We create? NO that now is stupidity but we cannot get our answers from polling scientists but only from solid research. i have run my rant on too long and thank you for putting up with my poor language skills. Couple of things…the warming trend indeed continues. 2014 ranks as Earth’s warmest year on record. The 10 warmest years in the instrumental record, with the exception of 1998, have now occurred since 2000. Much of your post speaks to the feasibility and problems associated with various policy responses. No question that there is no ‘silver bullet’ but the first step is to acknowledge that the scientific evidence for human-caused climate change is unequivocal. More rubbish propaganda from poor Ian, the climate cult fanatic. So sad. And the warming shown in the plot was caused by natural climate forcing, not anthropogenic forcing, because peer reviewed science empirically shows that there was 6 to 12 times more natural climate forcing during that time period than anthropogenic forcing. 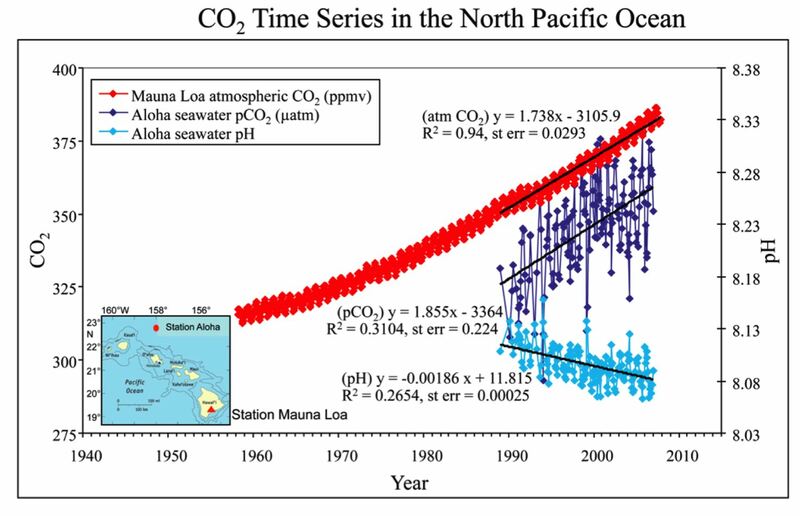 In addition to more solar radiation reaching the Earth’s surface, the warm phase of ocean cycles contributed to the late 20th century warming. 1) There has been no warming the ~15 years of the 21st century. 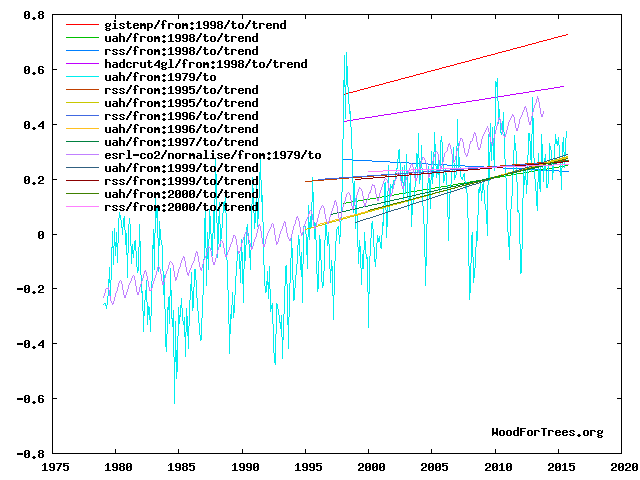 – evidence: http://www.woodfortrees.org/plot/rss/from:2001/to:2015.75/trend/plot/rss/from:2001/to:2015.75/plot/esrl-co2/from:2001/to:2015.75/offset:-370/scale:0.08/mean:12 , in spite of the fact that there has been an unprecedented amount of human CO2 added to the atmosphere, nearly 50% of the amount humans have added prior to the 21st century. This increase in surface solar radiation is confirmed by Pinker(2005) – “Long term variations in solar radiation at the Earth’s surface (S) can affect our climate … We observed an overall increase in S from 1983 to 2001 at a rate of 0.16 W per square meter (0.10%) per year … the observed changes in radiation budget are caused by changes in mean tropical cloudiness, which is detected in the satellite observations but fails to be predicted by several current climate models.” – ‘Do Satellites Detect Trends in Surface Solar Radiation’ 0.16*18 years = 2.9 W/m^2 over the 1983-2001 timeframe. This empirical data shows that there was 6 to 12 times more natural solar forcing contributing to warming during that late 20th century time frame when most of the warming occurred than there was from ghg forcing. Clearly the empirical evidence shows that natural climate variability was the primary cause of the late 20th century warming. Specifically, it’s the Sun. Yes, that big ball of fire in the sky is the primary driver of climate, just as it has been throughout the entire history of the planet. While the increase in solar radiation reaching the Earth’s surface was the primary factor, it is also true that the mean level of solar activity over the last half of the 20th century was higher than the previous 7 consecutive 50 year periods, contributing to the late 20th century warming. Dishonest and incompetent thrills us looking for entertainment! Thanks for entertaining us with your incompetence! Yay laughs! How can you expect the world to be transparent about their emissions, when the loudest spokesman about climate change, Governor Brown, is NOT transparent about California? California’s flagship climate change policy Assembly Bill 32, the Global Warming Initiative was signed into law in 2006 when California was contributing 1% to the worlds green hose gases. had little to no impact on the reduction of global greenhouse gas emissions. With many of the businesses the emit now departed from California, the contributions to the worlds greenhouse gases has INCREASED as no other state or country comes close to California which has the most stringent environmental laws and regulations in the world. of businesses and the financially challenged. At least they spell it properly now. When this talking point first came out, the faithful spelled it ‘concencus’ when dutifully parroting this line. 1. The interior of the Sun is mostly iron (Fe), not hydrogen (H). Stars make and discard hydrogen to interstellar space. 2. Neutrons repel other neutrons, as indicated by Aston’s nuclear packing fraction, not attract them, as allowed in Weizsacker’s seriously flawed concept of nuclear binding energy. Please be advised that a revised agreement is in place. Article 4.4 has been changed, i.e “should” instead of “shall”. Hi Grampa, Yes thank you. You are so right about CO2 and methane. The more CO2 made, the more that the plant world will absorb it through the function if photosynthesis! Except the facts are that CO2 continues to accumulate – 25% increase since 1960. We’re doing it now. So who knows what you are going on about. fraction, not attract them, as allowed in Weizsacker’s seriously flawed concept of nuclear binding energy.